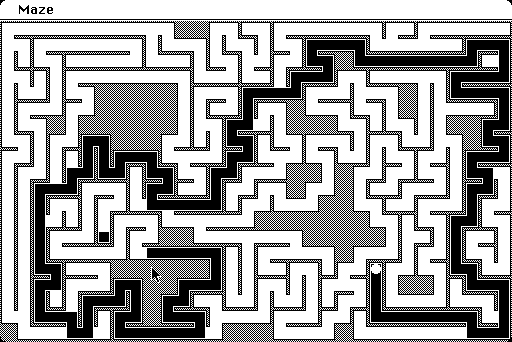 Advanced Mac Substitute is an API-level reimplementation of classic Mac OS. 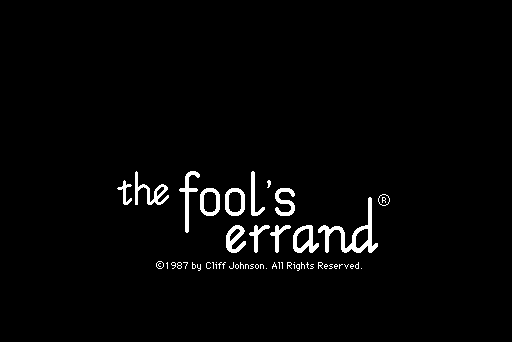 It runs 68K Mac applications in an emulator without an Apple ROM or system software. Unlike traditional emulators, Advanced Mac Substitute doesn’t emulate the hardware on which an operating system runs (except for the 680x0 processor), but actually replaces the OS — so it launches directly into an application, without a startup phase. Advanced Mac Substitute is a factored application. 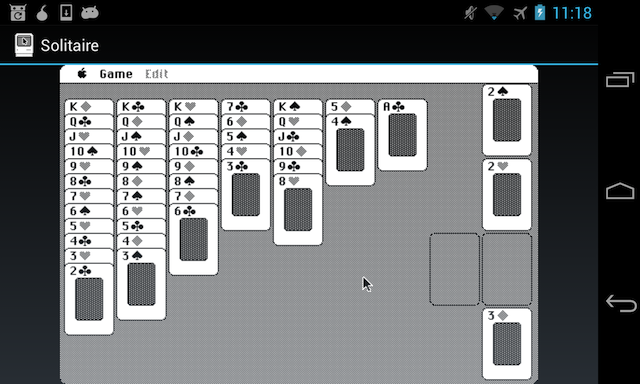 The backend includes a 68K emulator and should build and run on any POSIX-like system. The frontend is a generic bitmapped terminal abstraction which has been ported to four platforms so far: classic Mac OS, Mac OS X, Linux framebuffer, and Android. 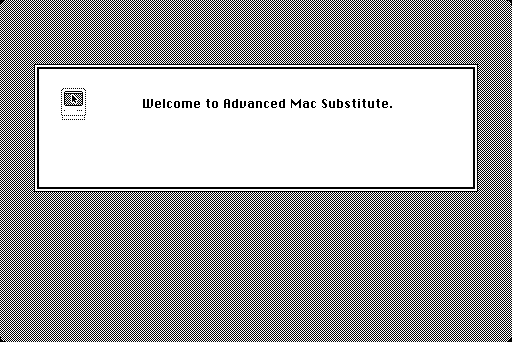 Advanced Mac Substitute is capable of running several applications written for the original Macintosh computer. 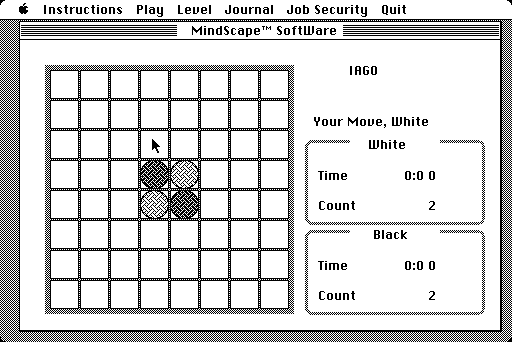 Examples include four games from 1984: Amazing, Solitaire, Missile, and IAGO. 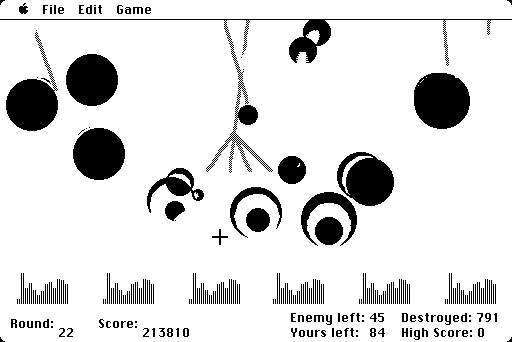 Current support includes 1-bit-deep graphics, regions, circles and roundrects, lines, cursors, GrafPorts, text, windows, controls, menus, dialogs, and more. If you’re feeling adventurous, you can try out Advanced Mac Substitute on Mac OS X (versions from 10.4 through 10.12, at least) or Linux framebuffer.